A gorgeous and super cute little Easter bunny bag. 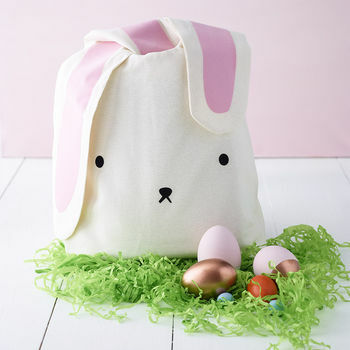 This extraordinary Easter bunny bag will be perfect for all children on their Easter egg hunt for goodies and treats. 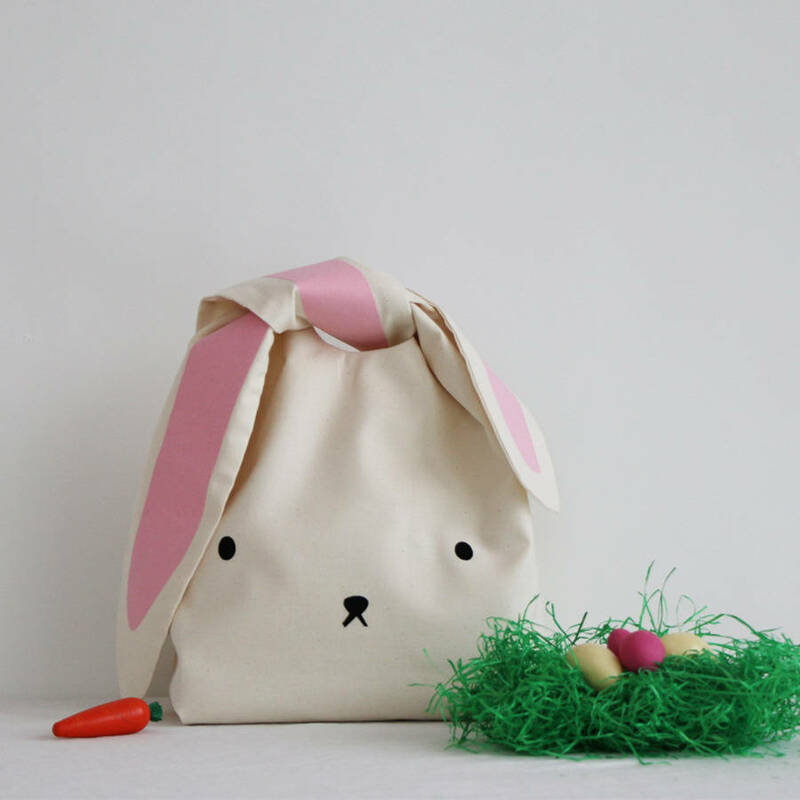 This stylish Scandinavian style accessory for children will be a great decoration in your Easter home too. 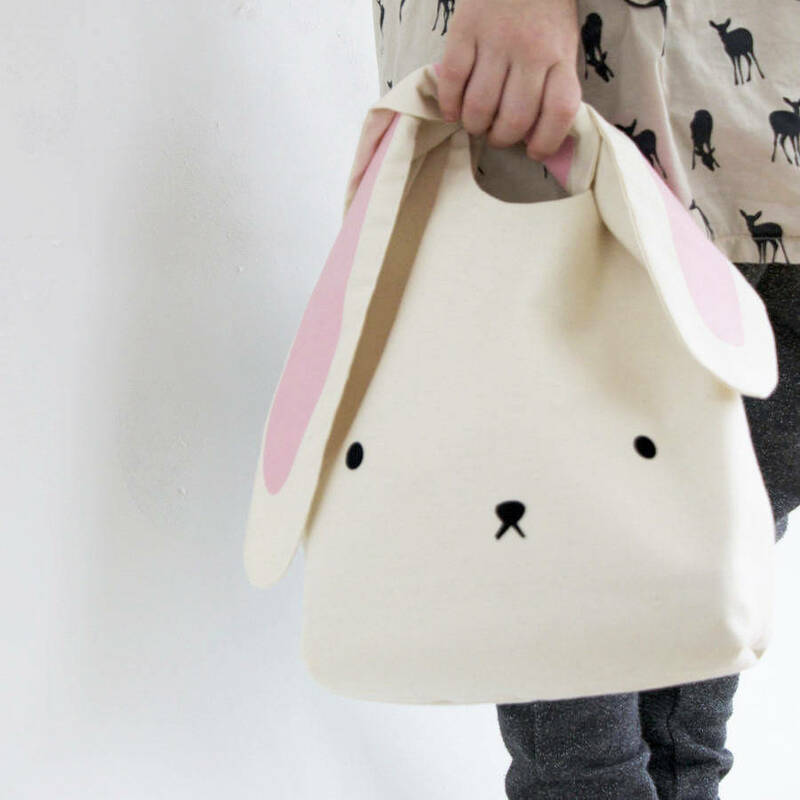 The bunny's ears in a knot are this bag's handle. 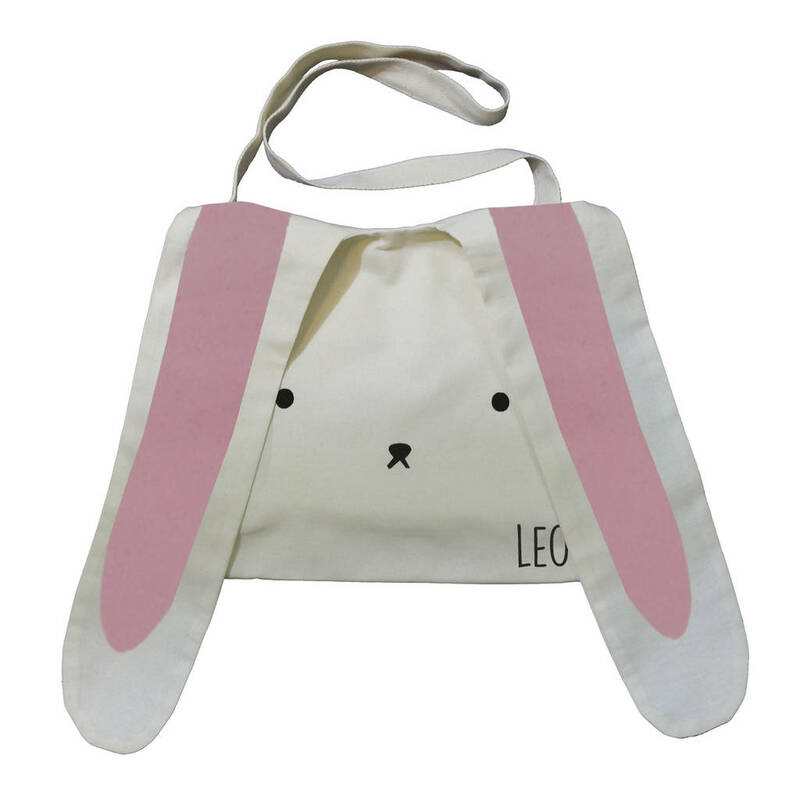 This super cute bag can be used for ballet shoes or jewellery or lots of others things after Easter too. Made of unbleached natural cotton with velvet touch print. We can also add a name to this bag, please don't hesitate to ask us. 100% cotton. Handwash only, iron print on reverse. H 30cm (with ears hanging down) x W 22cm.